As a teacher I found that two subjects always found themselves at the center of instruction: reading and math. These subjects deserve to be at the forefront. But with the ever-increasing expectations for classroom teachers, other subjects get pushed out of the spotlight. I’m thinking of one subject in particular. When teaching writing becomes a 15-minute chunk of time (and let’s be honest, it’s really 12 minutes) in which kids follow a journal prompt and race against the clock to produce something, they’re not learning to write. They’re practicing it – and not very well. Unfortunately, many of these kids are learning an unhappy lesson: that writing is hurried, uninteresting, and difficult. How do you get kids to love reading? You read to them. 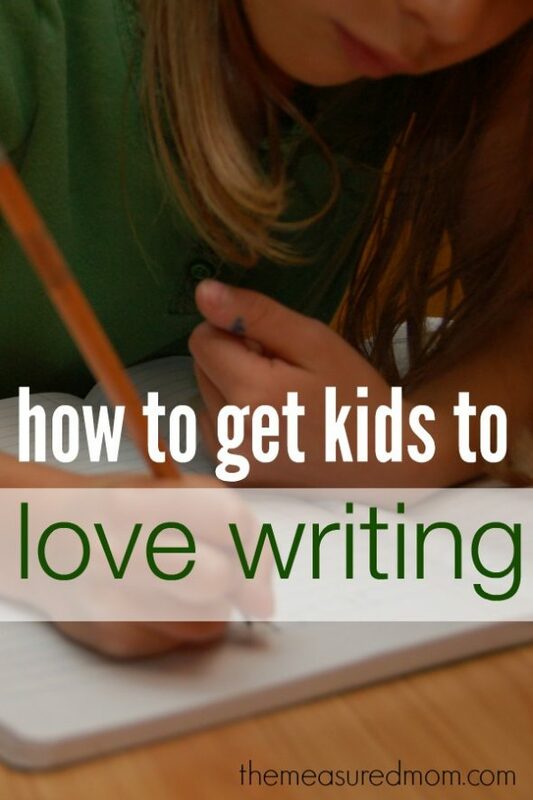 How do you get kids to love writing? You write with them. 1. Have a story-filled life. The best writers are avid readers. Read to your child every day. You say your child’s in middle school? Read to your child every day. Pick a book above your child’s reading ability, or take turns reading pages in a book of his choice. When your children are young, tell stories in the car, the doctor’s office, or when you’re pushing the stroller. Above all, talk to your children. 2. Recognize and celebrate early writing. When your two-year-old scribbles and calls it his name, he’s writing. When your preschooler writes a string of letters and tells you what it says, he’s writing. And when your kindergartner draws a picture and adds a single word, she’s writing too. Call it that. Celebrate it! 3. Let your child see you write. When you’re in a rush to head out the door and are scribbling down a grocery list – and your preschooler hangs over your shoulder and asks what you’re doing – take a second. Show him. Let him watch you make lists, send e-mails, write thank you notes, and compose a note for his lunch box. 4. Provide a great variety of writing tools and surfaces for writing, and give your child easy access to them. Give your children pens, chalk, paint, and markers. Get big pads of newsprint, a chalkboard, or a dry erase board. When your child knows her letters, put her at the computer. Make the font big and bright, and let her type. Set up a quiet corner for your child to write. If space is an issue, pack writing materials into a portable container that your child can pull out at the kitchen table. Include pens and pencils, pads of paper and envelopes, a notebook, and a spelling dictionary appropriate for your child’s age. 6. Schedule quality writing time into your day. a) Teach your child how to streeetch out a word and write its sounds. b) Teach your child how to brainstorm writing ideas. 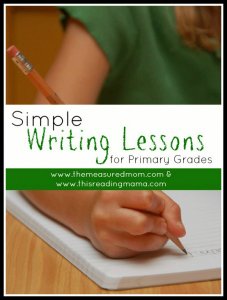 c) Teach your child to reread her work after she’s written it. Give your child writing time as often as you can. Would one book a week help your child love to read? Neither would one writing session promote a love of writing. If your child is resistant, use your best judgment. But keep in mind that frequent writing develops the habit of writing. I think that three days a week of 20-40 minutes (depending on age) is better than five days of just 10 minutes a day. 7. Give your child authentic writing experiences. Let her help write the grocery list. Give her the pen to add a note at the end of the letter you’re writing. Let her write the note for the mail carrier or neighbor. An older child can plan the menu or write out the packing list for vacation. All children can write thank-you notes – even if it’s just a picture and their name. 8. Let art be a part of writing. When children first begin writing, their stories are mainly pictures. Let them write the story they want to tell and then write or dictate words to you. As they get older they’ll still love to illustrate their stories or add embellishments with stamps and stickers. Older children might enjoy drawing comics to tell their stories. 9. 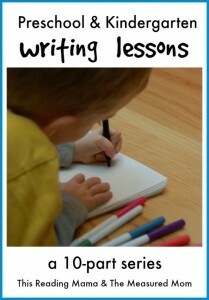 Teach your child to write in all different genres. For many of us, writing time at school was either “creative” writing to a prompt, or a report. There’s so much more! Poems don’t have to rhyme. (A list of sounds you hear outdoors is a poem.) Writing down a favorite recipe (as the child recalls it) is a wonderful way to practice nonfiction writing. A story doesn’t have to be an original tale; your child can retell a favorite fairy tale in writing. 10. Have realistic expectations about spelling and grammar. Spelling and grammar are absolutely important, but not all at once. Focusing too much on spelling and grammar will squelch creativity in young writers and destroy enthusiasm in older ones. As your child’s literacy grows, you’ll know what words to hold him accountable for. But you will only know this when you have regular writing time. 11. Don’t forget about spelling and grammar. Wait a second. Didn’t we just talk about this? Some teachers and parents become so concerned about not overdoing grammar and punctuation that they adopt a “hands-off” approach. Kids know when their writing is careless. If you don’t hold them accountable for what they can do, and teach them new things as they are ready, they will continue to produce sloppy work that they cannot take pride in. Remember that words, sentences, and ideas are first. But spelling and grammar are a definite second. 12. 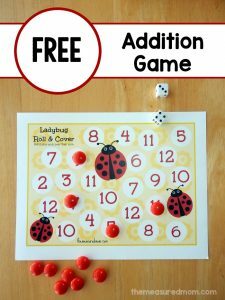 Play games to teach writing skills. Take a break from the radio or DVD player in your car. Instead, play word games to increase vocabulary. At home, pull out board games like Scattergories and Apples to Apples. In the future, I’ll be posting about games to promote a love of writing. Check here for ideas. 13. Give support and encouragement. When your child is writing, be as helpful as you can. Talk through ideas. Supply help with spelling and punctuation when it’s asked for. Think of yourself not as a critic, but as a helper and encourager. 14. Publish your kids’ writing. Let them make their own books. Submit their writing to contests or children’s magazines. Let them type their work on the computer. Consider putting their finished stories into a book with an online publishing program. 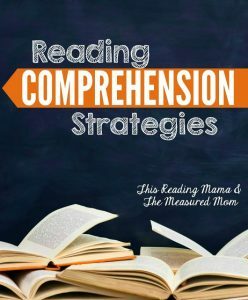 Whether you’re a homeschooling parent, a parent who seeks to supplement your child’s education at school, or even a classroom teacher, I hope you’ve found this list beneficial. Be sure to check out my new ebook – full of countless tips and resources for teaching writing at home or at school! 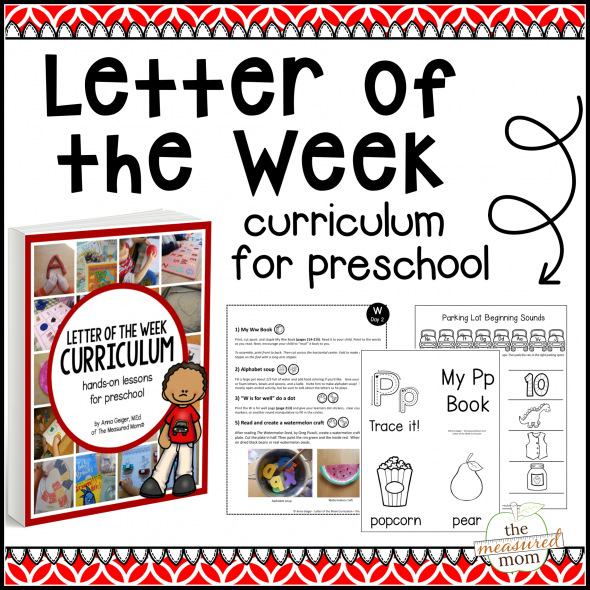 And be sure to follow along with our newest series: Writing lessons for Preschool & Kindergarten! Fantastic post! We pinned it to our “Writing for Kids” board. Thank you, Christine! I really appreciate the feedback. HI! and thanks for the great tips. My situation is a bit different in that I’m a grandmother and I have hopes to encourage writing in my 10 year old granddaughter who loves to read and devours books like they were dessert. She’s done some writing and enjoys it, but I haven’t known how to encourage it. Thanks for these tips. I’m glad you found something helpful, Gail! Thanks so much for stopping by. Great post! The subject I struggle with most to teach my kids is writing. Thanks for some new ideas! I think that’s true for many classroom teachers as well. It requires plenty of time and commitment to do it even when we don’t feel like it — both of these can be hard for me to come by :). For me, when I make something a routine we get into our groove and I start to see real progress. I haven’t set up a regular writing time yet at my house, but it’s in the works… stay tuned as I hope to offer writing mini-lessons in the future. I recently went through my files as I’m getting ready to start Writing Workshop with toy of my kids. I found a presentation I gave at a teacher’s conference a number of years ago (pre-family). Would you like me to email that you? It gives a big overview for teachers but can easily be adapted for homeschooling. If interested, reply to this comment with your email address or send me an email at themeasuredmom@gmail.com. I really love this list. My four-year-old’s writing has recently picked up, and I think it’s in large part to several of the things you mentioned: reading a lot, seeing me write, and have writing materials readily available. That’s terrific, Amy! Thanks so much for commenting. I found your ideas really so useful taht i’ll apply them not with my classe but also with my son strugles with writing. You are write-on! Reading, math and writing are primary subjects in our school and I think your grammar/spelling tips are some of the most important. Thanks so much, Julie! I really appreciate your comment. Thank you for so many great tips! You’re so welcome, Lauren! Thanks for stopping by! Thanks for all the great advice! I intend to use it with my 4 and 5 year old as they are just learning to write and spell (and eventually with my 1 year old). I hated writing growing up, and I don’t want them to feel that way! You’re welcome, Ashley! I recently went through my files as I’m getting ready to start Writing Workshop with toy of my kids. I found a presentation I gave at a teacher’s conference a number of years ago (pre-family). Would you like me to email that you? It gives a big overview for teachers but can easily be adapted for homeschooling. If interested, reply to this comment with your email address or send me an email at themeasuredmom@gmail.com. I love this post! I especially love celebrating even the youngest of writers. Completely my beliefs. 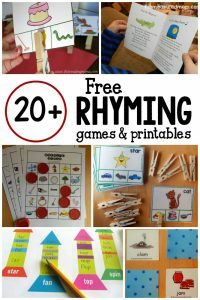 Thanks for linking up at Tenders Moments with Toddlers & Preschoolers! Hope you continue to linkup your great content. I’m really enjoying reading them. This is a wonderful post filled with so many great writing tips! Pinned this post and shared it on my Facebook page. Thank you for linking up this week to our Hearts for Home Blog Hop! Another great post. I am all for kids learning to love to write. Oh thank you! This is timely advice for me. My oldest (8yo) is a reluctant writer. I’m going to try a few of your wonderful suggestions. I’m so glad you found something helpful, Kelly! I recently went through my files as I’m getting ready to start Writing Workshop with two of my kids. I found a presentation I gave at a teacher’s conference a number of years ago (pre-family). Would you like me to email that you? It gives a big overview for teachers but can easily be adapted for homeschooling. If interested, reply to this comment with your email address or send me an email at themeasuredmom@gmail.com. I really need this. My daughter is struggling with her writing and I never thought to write to her. I am going to write her a note tonight and put it on her pillow. Thank you so much for sharing this on We made That! You’re welcome, Tracey! I recently went through my files as I’m getting ready to start Writing Workshop with two of my kids. I found a presentation I gave at a teacher’s conference a number of years ago (pre-family). Would you like me to email that you? It gives a big overview for teachers but can easily be adapted for homeschooling. If you’re interested, reply to this comment with your email address or send me an email at themeasuredmom@gmail.com. Oh wow that would be awesome! I would really appreciate that! My email is wemadethatta@gmail.com Thank you so much! LOVE this! I am bookmarking this entry to keep referring to it as we move forward! So happy you can use it, Katie! Great post! I totally agree with you! 🙂 Pinned this post. Thanks so much, Stephanie! I’m bummed I missed your party, but I have added you to my list and hope to make it there for your next one! Thanks so much for the feature, Natasha! Great tips. 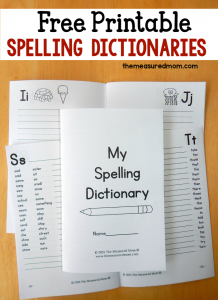 My daughter loves her spelling dictionary from your site! So glad to hear that, Diana! These are the perfect ideas that I needed to hear. I’m trying to figure out how to keep my kids writing this summer, so thank you very much for writing this! A fantastic website for kids to write and publish their own books is called Scribblitt. Kids can upload their own images or use an illustration tool with beautiful pick & click images to create their illustration. For every book created, we donate a book to a child in need – one for one. Finished books are hardcover, perfect bound and high quality! Thanks for sharing, Andrea! I will have to check it out. is it possible to get your guidance to get increse the speed and intrest of writing of my sons my childrens are studying 8th and lover kg. Thanks for all your kindness to share and to inspire me to do for kids..
You’re welcome, Jane- thanks for stopping by! Thankfulness to my father who stated to me on the topic of this webpage, this blog is actually awesome. The whole process has been streamlined so that one can get the loan easily and fast. Really appreciate the tips. Father of 6 year old boy who loves numbers and has a growing dislike for letters! Determined consistency ….. a great way to ensure success. I’ll try it. Great idea, thank you for the ideas,which make me intent to encourage my children improve their writing skill. I went through your post and that was amazing! Writing on a regular basis develops creativity, motor function and naturally, writing skill itself. Thanks for sharing. Yes, there are so many benefits for writing regularly! Thanks for reading! My 1st grader love’s to write books. He has been doing this for over 3 years now. First it was just drawings. But now that he is learning to read and spell he is not writing stories to go with them. We take 4 or 5 sheets of paper and fold them, and then staple. We have already gotten him an electric stapler so he can do this part himself. He tells us he wants to be a “book writer” when he grows up. We have a bin full of all the books he as made. We believe there is close to 200 of them. Anyway. We want to continue to encourage this. And would like to focus some of his christmas gifts around this theme. On top of that, he really does not play with toy or spend much time on the computer. he would rather sit at the table in the evening and write a book. So if you have any idea’s of what to buy him that would continue to encourage this behavior, any feedback would be appreciated. Hello, Jeffrey! I know Christmas has come and gone, and I still haven’t replied to this. I’ve looked at it so many times and been stuck for things to suggest – mainly because I have a similar situation at my house (on a much smaller scale) and find that I don’t know what to buy, either! If you have an electric stapler, you probably have the most important item! I’m not sure if it’s a long arm stapler, but my kids loving using that so their books are actually like real books. Other simple things include bright cardstock and nice pencils … but I’m not sure what else to suggest! As you’ve surely noticed, kids who enjoy this kind of thing are usually self-starters who will use whatever they can find. I think it’s incredibly wonderful that he’s written 200 books and that you’re saving them. The fact that he would rather write books than do screen time means you have encouraged this extremely well! Eventually he might enjoy typing and printing his books from the computer. You could create a simple template for him to write the words for each page, and then print so he can illustrate. Thanks for sharing! I needed to read this article. I was going crazy. Thank you so much! Thank you for reminding me of some older tricks and teaching me some new ones. I have a 4, 15 and 17 year-olds. All boys, when the older ones were young, we played alphabet games. We’d always talk through the alphabet, naming farm things, animals, foods etc starting with Apple, banana, cantaloupe…around the car in circles. Sometimes on harder ones, we would just call them out. I forgot all about that. It’s different with only one little one to think up my old games. It’s really helpful. I used to worried a lot about my kindergartner kid’s writing skills. I got the Bull’s eye information for this here. Thanks so much!